Standard Operating Procedure for assigning and checking out keys to the building. 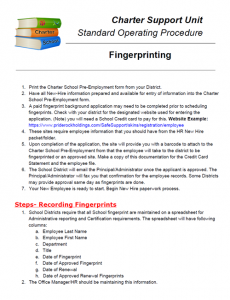 Standard Operating Procedure to use to ensure staff members are appropriate fingerprinted and background checks completed. 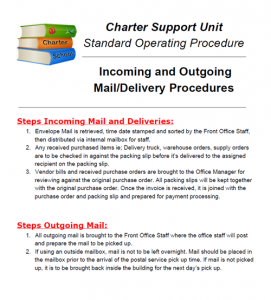 Standard Operating Procedure for dealing with incoming and outgoing mail to ensure the separation of duties with regards to accepting payments and invoices. 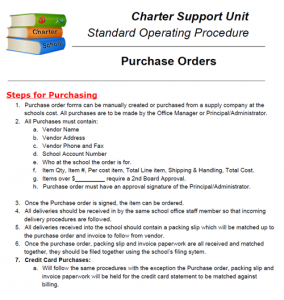 Standard Operating Procedure for issuing Purchase Orders to purchase items.